Hotel King…oh, where should I even start. When I first learned that Lee Dong-wook and Lee Da-hae were finally reuniting 9 long years after My Girl to star in this drama, I was beyond ecstatic. My Girl is my favorite kdrama, hands down, and they are my favorite kdrama couple. Unfortunately, that anticipation and excitement didn’t last very long because Hotel King was a complete disappointment, to not only LDH/LDW/My Girl fans but just kdrama fans, in general. I disliked this drama so much that I would have given up on watching it after about 10 episodes if I hadn’t committed to recapping it. I kept holding out hope that it will get better…eventually. The two leads have too much chemistry for it to all go down in flames! Nope, this drama was terrible til the very bitter end. The plot for Hotel King started off believeable enough with an abandoned son, played by Lee Dong-wook, seeking revenge against his estranged father. But once the whodunit murder plotline was introduced, things just took a detour to Crazy Town. For 32 episodes, the mystery behind who killed Chairman Ah not only served as the catalyst for all the events that occurred, but also as the motivation for the characters to keep trudging along, in the name of all-important “revenge.” And while the murder is constantly mentioned and discussed throughout the series, when the murderer was finally revealed, it was done in a off-hand flashback that had absolutely nothing to do with what was currently happening in the show. So, what was the difference in resolving the mystery in episode 31 versus episode 3? It wouldn’t have mattered either way. The way that plotlines, e.g. the murder mystery, were dragged out was one of the main downfalls of this drama. I understand that there are 32 hours that need to be filled, but if all of these plotlines ultimately have no lasting impact on the story, there’s no reason to force the audience to suffer through multiple episodes of red herrings, ridiculous distractions, and just plain stupidity. And despite having such a high episode count, Hotel King still failed in providing any type of real character development for the main characters. Sure, they changed their minds and did some things later on that they wouldn’t have done in the beginning, but none of it seemed realistic or logical. Characters’ emotions and motivations swung so dramatically from one extreme to another that it just all seemed manufactured and disingenuous. It really pains me to say this, but the biggest problem I had with Hotel King was the romantic relationship between Cha Jae-wan and Ah Mo-ne. The chemistry that Lee Dong-wook and Lee Da-hae had while starring in My Girl all those years ago was still there, but it has taken on a new form. Because this was a melodrama, they were no longer the fun, loveable characters that so many fans have come to know them as, but instead were a sappy, overly dependent couple that annoyed me when they appeared onscreen together. The nature of this drama sucked all the joy out of watching them act as a couple. Mo-ne was particularly infuriating with her blind absolute devotion to Jae-wan, even though he was mostly not deserving of it. Not going to lie, I openly laughed at hearing other characters telling it to her face on what an awful person she is. Mo-ne was a complete embarrassment to all the strong female characters from other dramas. The acting in this drama was just plain bad, and that goes for everyone. Overacting is pretty common in dramas, but they took it to a whole other level here. Every episode was a master class in the “crazy eyes” method. Whenever there was a dramatic scene, the actors would be bugging their eyes out at each other. Lee Dong-wook was the biggest fan of this method. His character was naturally aloof, but once there’s a moment where the smallest bit of emotion was needed, he’d be yelling and his eyes looked ready to pop out of their sockets. Lee Da-hae was not that much better, but she was able to show some of her acting chops in the very emotional scenes. This drama highlighted all of their acting deficiencies, which were not seen in My Girl since that was a romcom that didn’t feature many overly dramatic scenes. Kim Hae-sook’s acting as Baek Mi-nyeo may be the saving grace in the acting department, but she was still prone to too much overacting to say that she was good. Save yourself the frustration and just skip this one. If you are that big of a Dong-wook/Da-hae shipper, just rewatch My Girl. Other than that, there’s absolutely no reason that anyone should be wasting their time watching Hotel King. Kim Ye-won of Korean girl group, Jewelry, plays Yoon Da-jung, one of the front desk employees. Cha Hak-yeon (aka N) of Korean boyband, VIXX, plays Noah, the bellhop. Lee Joo-yeon of Korean girl group, After School, cameo-d as Chae Won, the arrogant celebrity planning her wedding at Ciel, in episodes 31 & 32. 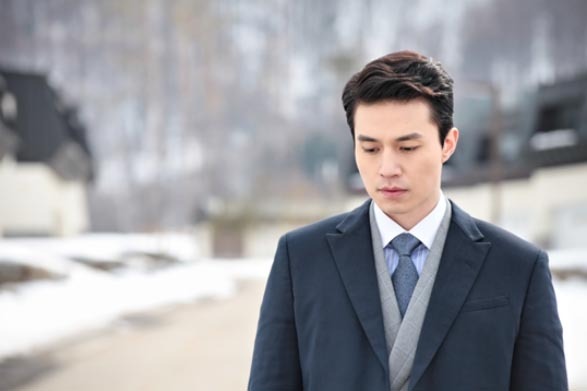 Catch up on Hotel King with the episode recaps. Hi Ms. Anna. Out of curiousity, have u ever tried finishing the drama up until the end? Don’t get me wrong but the storyline is one of the original I’ve ever watched and in addition to that is the main leads of the drama is really amazing. Just sharing my opinion. btw totally love the DongHae couple. They are more REAL than the character they portrayed. Hello! I’m sure Anna watched it till the end because she actually recapped the whole series! Also, we only write series review for shows we actually finished watching the whole way through. Glad you enjoyed it though! @mikhaela, I did watch the entire drama, but just really didn’t like it lol. I still love DongHae, but I couldn’t get on board with their characters in this. Maybe my expectations were too high since they were my favorite kdrama couple from “My Girl.” Oh well. I’d still watch another drama they collab on in the future! Hi @Estelle and @Anna! thank you for all the reply. Oh, I haven’t read the recapped made by @Anna on the drama. 🙂 I’ll look for it right away. Anyway as long as they (DongHae Couple) are the leads of the drama, we will surely enjoy it because of their realistic chemistry. I guess we just have our own preferences in this drama, still we are all DongHae lovers.